Deaths in Connecticut from heroin and opioid overdose doubled in the past three years, reaching every corner of the state. Last year alone, nearly 550 people died. 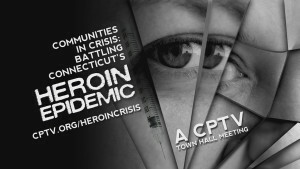 This multifaceted issue has many contributing factors, but one thing is for certain: Connecticut is facing a growing, life-threatening epidemic that refuses to discriminate based on social or economic status. During this live town hall meeting, a panel of experts and community leaders will discuss the significant challenges of opioid addiction and what local communities can do to help curb the alarmingly high rate of opioid dependence through effective treatment, prevention, and education. 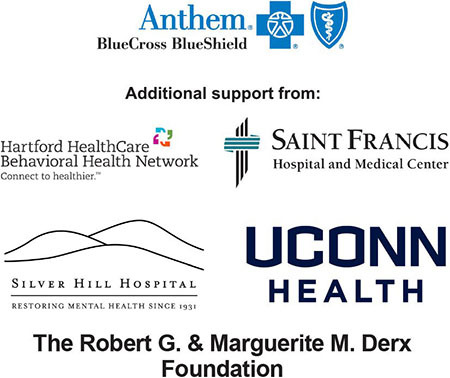 The Connecticut Department of Mental Health and Addiction Services (DMHAS) has announced a new toll-free number connecting residents seeking treatment and services for an opioid addiction to local walk-in assessment centers. Residents will now be able to call 1-800-563-4086, 24 hours a day, to connect them or a loved one to a walk-in assessment center in their area. For more information, please click here. Saturday, April 30, 2016 | 10:00 a.m. – 2:00 p.m.
To find a site near you please click here. Year round prescription drop box locations in CT can be found here. Shatterproof.org: Shatterproof is a Connecticut based, national organization committed to protecting our loved ones from addiction to illicit and prescription drugs, and alcohol, and ending the stigma and suffering of those affected by this disease. Awarerecoverycare.com: Aware Recovery Care is a new, highly acclaimed drug and alcohol addiction treatment program developed by Yale addiction specialists that allows you to get better at home. Office of the Healthcare Advocate: The Office of the Healthcare Advocate (OHA) is an independent agency here to help you understand what options you have, how to get and fight for your healthcare coverage, including coverage for mental health or substance use treatment, and to make sure you get covered for your healthcare needs.